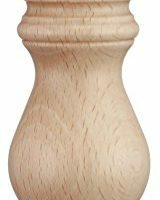 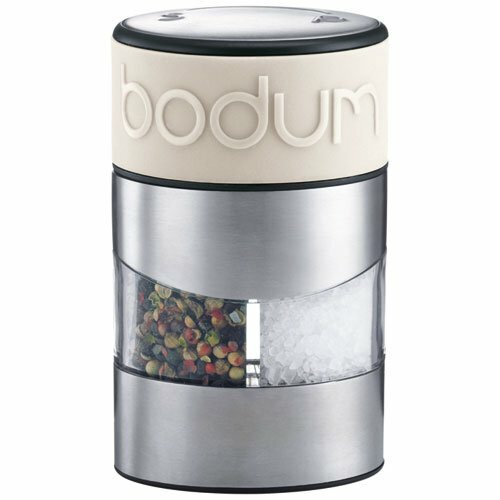 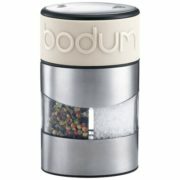 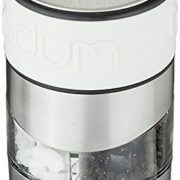 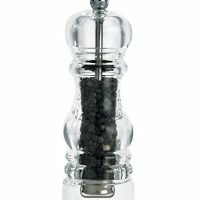 The TWIN salt and pepper grinder spices up kitchen counters and dinner tables alike. 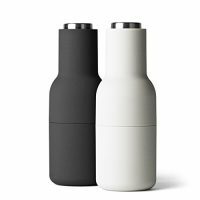 With one easy turn of the colorful silicone band that serves as a non-slip handle, the TWIN switches between salt and pepper. 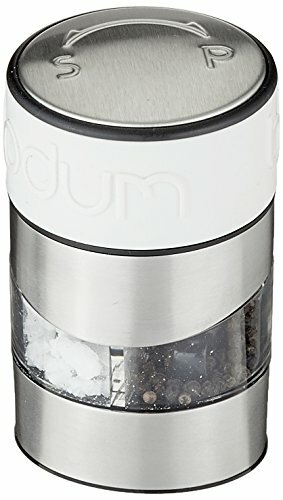 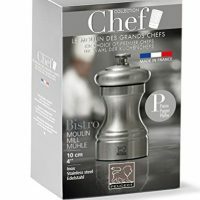 Its powerful ceramic gears make this manual grinder extremely easy to use.The TWIN’s shape is round on top and elliptical at the bottom, combining the ergonomically correct shape for hands with the advantage of taking up less counter space.It is 11.2cm/4.4in tall with a diameter of 6.8cm/2.7in.